Is it a ball or a strike? 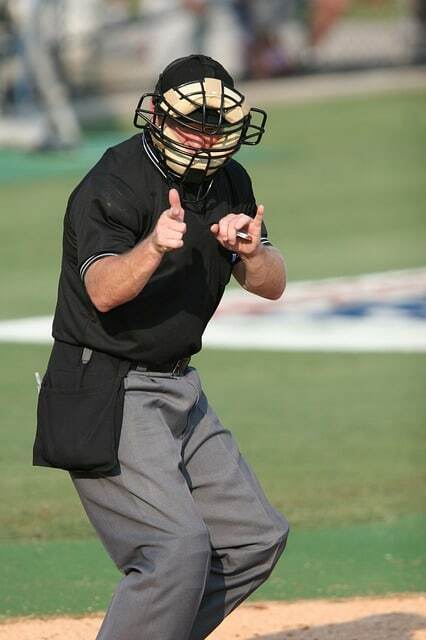 Only your umpire knows! A crazy strike three was recently called in a minor league game between the Hartford Yard Goats (Rockies) and Binghamton Rumble Ponies (Mets) when the pitcher, Cory Burns, stumbled during his delivery and the pitch rolled towards the first base line well away from home plate. The batter, Josh Fuentes, swung his bat as the ball rolled up the line and the umpire decided to count the swing and Fuentes was ruled to have struck out. The video has gone viral and many are awarding Fuentes as the worst strikeout in professional baseball history. So technically, the umpire is correct in his call of strike three when he interprets Fuentes swing as an attempt to hit the pitch. We can debate the umpire’s judgement but not his authority to call the strike. Ted Barrett and Chris Welsh discuss a similar situation when a batter who is attempting to bunt a pitched ball does not pull the bat back on a wild pitch well outside the strike zone. Rule of the Week: Hidden Ball Trick When May a Fielder Block the Base?